Non-Resident Indian (NRI) is a citizen of India but a resident outside India. ‘Person of Indian Origin' (PIO) means an individual (not being a citizen of Pakistan or Bangladesh or Sri Lanka or Afghanistan or China or Iran or Nepal or Bhutan) who at any time, held an Indian Passport or who or either of whose father or mother or whose grandfather or grandmother was a citizen of India by virtue of the Constitution of India or the Citizenship Act, 1955 (57 of 1955). Acquisition of immovable property in India by NRIs / PIOs is regulated in terms of Section 6 (3) (i) of the Foreign Exchange Management Act (FEMA), 1999 and the regulations made thereunder from time to time. Under the general permission available, Non-Resident Indian (NRI) and Person of Indian Origin (PIO) can purchase immovable property in India. The general permission, however, covers only purchase of residential and commercial property and is not available for purchase of agricultural land / plantation property / farm house in India. In other words, NRI/PIO cannot acquire agricultural land/ plantation property / farm house in India. However, a person who had bought the agricultural land/ plantation property / farm house in India when he was a resident, can continue to hold the immovable property without the approval of the Reserve Bank even after becoming an NRI/PIO. An NRI / PIO who has purchased residential / commercial property under general permission, is not required to file any documents/reports with the Reserve Bank. 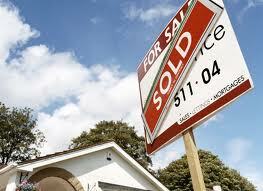 There are no restrictions on the number of residential / commercial properties that can be purchased. Payment can be made by NRI / PIO out of (a) funds remitted to India through normal banking channels or (b) funds held in NRE / FCNR (B) / NRO account maintained in India. No payment can be made either by traveler’s cheque or by foreign currency notes or by other mode except those specifically mentioned above. NRIs can sell property in India to i) a person resident in India; or ii) an NRI; or (iii) a PIO. PIOs can sell property in India to i) a person resident in India; or ii) an NRI; or iii) a PIO ( with the prior approval of the Reserve Bank). An NRI / PIO may sell agricultural land /plantation property/farm house (already owned by him) to a person resident in India who is a citizen of India. The sale proceeds may be credited to NRO account of the NRI /PIO. From the balance in the NRO account, NRI/PIO may remit abroad up to USD one million, per financial year, subject to the satisfaction of Authorised Dealer and payment of applicable taxes. NRIs and PIOs can inherit and hold immovable property in India from a person who is resident in India. However, a citizen of Pakistan, Bangladesh, Sri Lanka, Afghanistan, China, Iran, Nepal and Bhutan should seek prior approval of the Reserve Bank for inheriting immovable property in India. NRIs/PIOs can sell such inherited property. General permission is available to the NRIs/PIOs to repatriate the sale proceeds of the immovable property inherited from a person resident in India subject to the following conditions: (i) the amount should not exceed USD one million, per financial year (ii) this is subject to production of documentary evidence in support of acquisition / inheritance of assets and an undertaking by the remitter and certificate by a Chartered Accountant in the formats prescribed by the Central Board of Direct Taxes vide their Circular No.4/2009 dated June 29, 2009 (iii) in cases of deed of settlement made by either of his parents or a close relative (as defined in section 6 of the Companies Act, 1956) and the settlement taking effect on the death of the settlor ) the original deed of settlement and a tax clearance / No Objection Certificate from the Income-Tax Authority should be produced for the remittance (iv) where the remittance as above is made in more than one installment, the remittance of all such installments shall be made through the same Authorised Dealer. Acquiring immovable property by Gift, Settlement etc. NRIs and PIOs can freely acquire immovable property by way of gift either from i) a person resident in India; or ii) an NRI; or iii) a PIO. However, the property can only be commercial or residential in nature. Agricultural land / plantation property / farm house in India cannot be acquired by way of gift. The sale proceeds of immovable property acquired by way of gift should be credited to NRO account only. From the balance in the NRO account, NRI/PIO may remit up to USD one million, per financial year, subject to the satisfaction of Authorised Dealer and payment of applicable taxes. NRI / PIO may gift residential / commercial property to (i) person resident in India or (ii) an NRI or (iii) PIO. However NRI / PIO can gift an agricultural land / a plantation property / a farm house in India (already owned by him as explained above) only to a person resident in India who is a citizen of India. NRI/PIO can rent out the property without the approval of the Reserve Bank. The rent received can be credited to NRO / NRE account or remitted abroad. Powers have been delegated to the Authorised Dealers to allow repatriation of current income like rent, dividend, pension, interest, etc. of NRI/PIO who do not maintain an NRO account in India based on an appropriate certification by a Chartered Accountant, certifying that the amount proposed to be remitted is eligible for remittance and that applicable taxes have been paid/provided for. NRI / PIO can mortgage a residential / commercial property to (a) an Authorised Dealer / Housing Finance Institutions in India without the approval of Reserve Bank (b) a bank abroad, with the prior approval of the Reserve Bank.